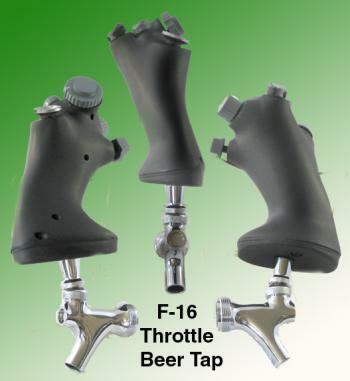 F-16 throttle Beer Tap [SGT-050F] - $169.95 : Metalcraft by Blair - military gifts and memoribilia. This is a resin replica of a Modern day fighter aircraft throttle grip. as anywhere in the world. Most are solid resin while a select few are plastic as modified by us.